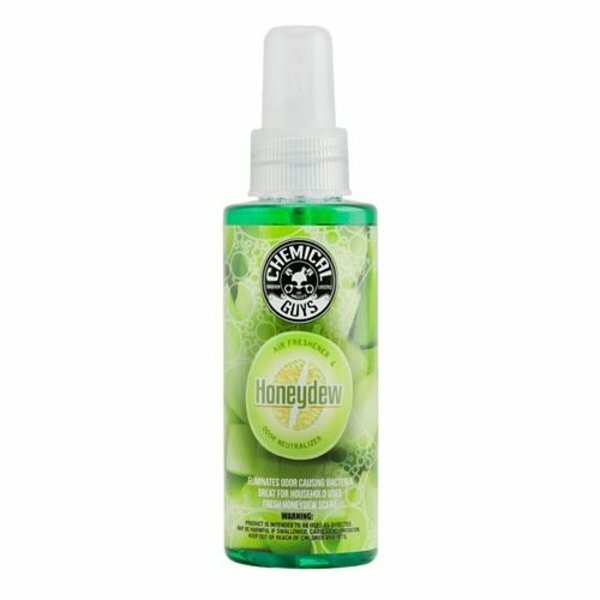 Say hello to honeydew: the luscious fruit renowned for its refreshing scent and sweet taste! It is known worldwide as the “Money Melon,” and even the “King of Fruits” in Japan. 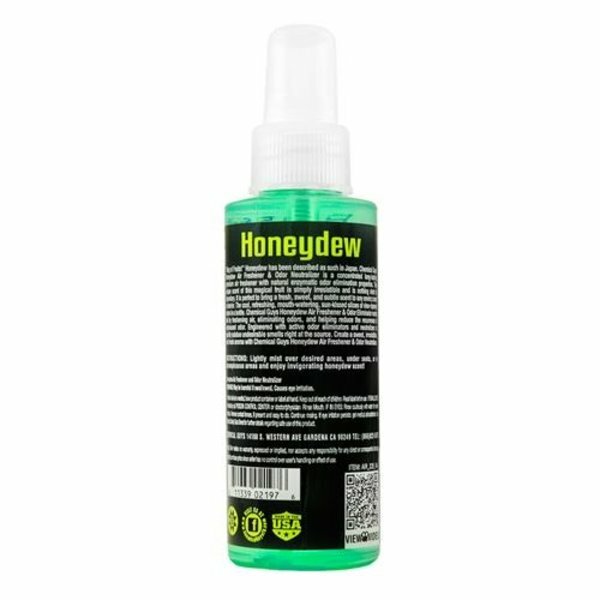 The unique scent of honeydew is nothing short of extraordinary, legendary, and irresistible. Chemical Guys Honeydew Air Freshener & Odor Neutralizer is a premium long-lasting air freshener with exclusive odor elimination agents that physically destroy foul odors at their source. 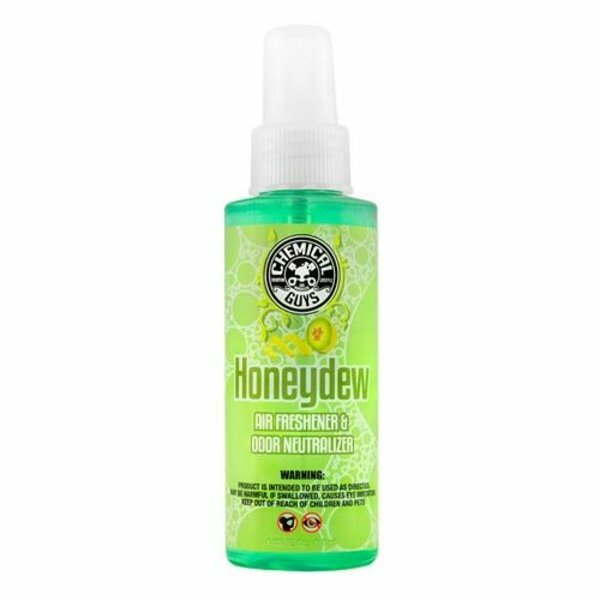 No matter where you use Honeydew Air Freshener & Odor Neutralizer, it is sure to bring the scent of cool, refreshing, sun-kissed slices of vine-ripened melon to any environment. The unique formula does more than mask foul odors; it actually kills odor-causing bacteria to completely remove bad smells. Chemical Guys Honeydew Air Freshener & Odor Neutralizer works fast to freshen air, eliminate odors, and reduce the recurrence of unpleasant odors.